In France in the 1980's, an observant French fruit grower (whose name has been lost through time) noticed something quite odd that had arisen as a mutation in his apple orchard - a large piece of apple wood that appeared to be primarily fruit bearing wood with minimal vegetative branches. 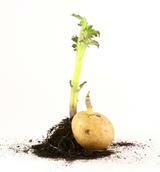 He cloned it and started to hybridize it to try to develop more apple tree varieties with similar characteristics. The final result of his work were apple trees with a columnar and dwarfed growth habit propagated on their own roots that produced fruit with minimal pruning required. He called the series 'Colonnades'. 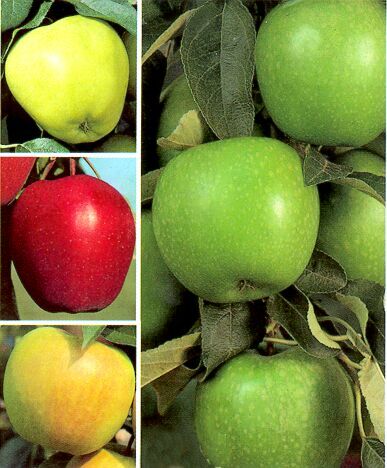 These trees were then imported into Canada by a larger wholesale grower, and in the mid-1990's Grobe's was one of a small number of nursery/garden centres to offer Colonnade columnar apple to homeowners. While they proved meritorious, they were a bit ahead of their time (as the current trend in self-reliance and home produced edibles was still some 20 years away) and regrettably by the turn of the millennium interest in the trees had waned, and they disappeared from productions/sale in Ontario. Around about that time, Peter Grobe did some renovation work in his backyard and decided to plant a couple of these apple trees. In the roughly 25 years since, these trees have grown in a compact form to a size of about 15' tall by 5 feet wide. The apples they bear have been very tasty, and while he sometimes laments the fact that the local squirrels seem to get more of the crop than he does, they have proven to be very simple trees to grow and enjoy. A few years back, an internationally known Canadian nursery grower approached Peter about perhaps using his trees to harvest some bud wood in order to 'bring back into production' this tree so that others may also enjoy it. These trees were grafted onto semi-dwarf root stock, and after many years of dedicated work on their part - they are now ready! For 2019 Grobe's is proud to announce the return of the Ultraspire Colonnade Apple to Grobe's, and also to you! It's possible to grow these dwarf trees almost anywhere, as they are very dwarf and narrow trees that grow to about 8 to 10 ft. tall by 4 to 5 ft. wide. Bred from a natural mutation that resulted in a tree formed of all fruiting wood, these trees will bear fruit from a young age and will even grow in a large container. 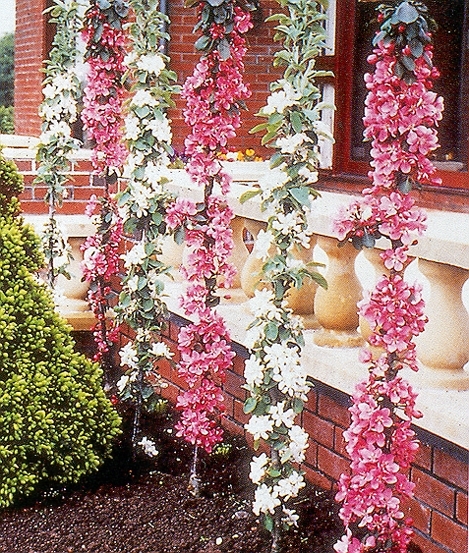 Maypole is a pink flowering crabapple required for pollination, with large 2-inch sized tart yet very easy to eat fruit. Emeraldspire has firm medium-large tangy yellow fruit with a reddish blush that is somewhat Spy-like. Ultraspire has larger McIntosh styled fruit that are perhaps a bit firmer and hold longer crisp than a Mac, but are still excellent for fresh eating or cooking. For those fruit tree lovers with limited space, Grobe's offers a varied selection of grafted multiple varieties on one fruit trees. Each individual grafted branch is a different variety of the same fruit, ensuring cross pollination on a single tree. Available for 2019 are 5 in 1 Apple, 5 in 1 Pear, Combo Apple Espaliers, Combo Pear Espaliers, and a limited number of 3 in 1 Cherry and 4 in 1 Plum. In addition to our feature apple trees shown above, Grobe's offers a number of very hardy apple trees that are great for fresh eating or baking. Varieties available on site for 2019 include Ambrosia, Cortland, Empire, Honeycrisp, Royal Gala, Brookfield Gala, McIntosh, Red Fuji, Golden Delicious and Red Delicious. 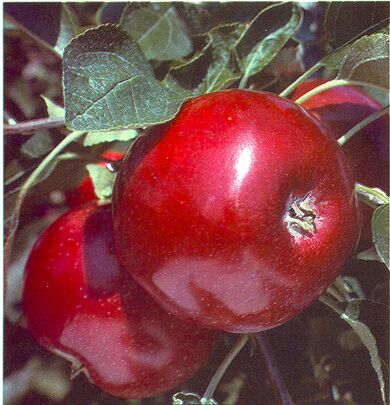 Most of these varieties are on semi-dwarf rootstock (Malling 106 or 7) but there are a limited number of McIntosh, Red Delicious and Gala apples on dwarf root stock (Malling 26). These are super winter hardy Saskatchewan-bred sweet/sour cherries in both bush or tree form growing to 7' tall. Juliette and Cupid offer an amazing taste experience as they have as much sugar content as a sweet cherry, but with the refreshing zip of a tart one. (It's been likened to 'sour cherry' candies). Excellent for eating, or for baking. Grobe's offers a number of tasty sweet and sour cherry varieties. 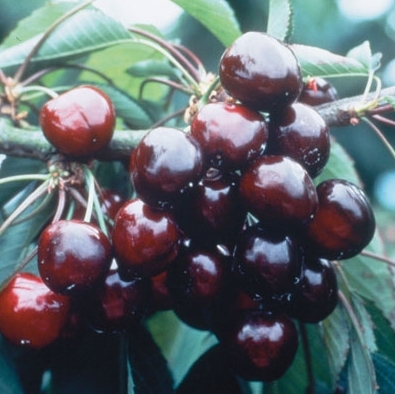 Provincial shortages of sweet cherry varieties continue, but some that are still available in limited quantity for 2019 are Bing, Royal Ann, Stella, and Lapins. 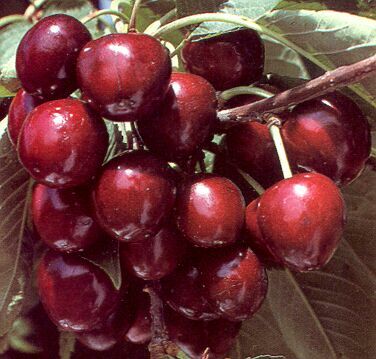 Sour cherry trees available are Meteor and Montmorency. 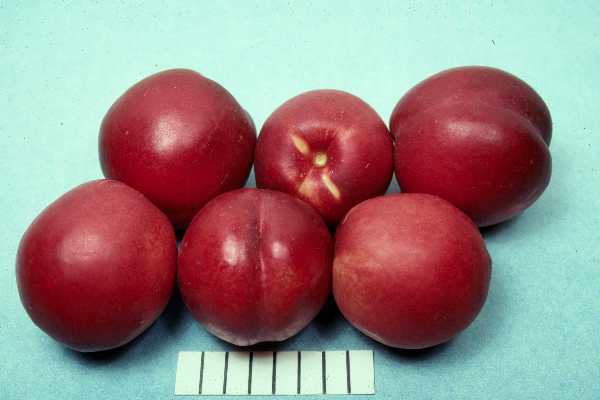 'Prairie Cherry' or Saskatchewan Cherry varieties mentioned above are 'technically' a 'tart' cherry, but they have a higher Brix rating (sweetness) which makes it much more desireable to eat fresh. There are no dwarf varieties for 2019. Cherry trees are not well suited to soils that do not percolate moisture away from the root zone. 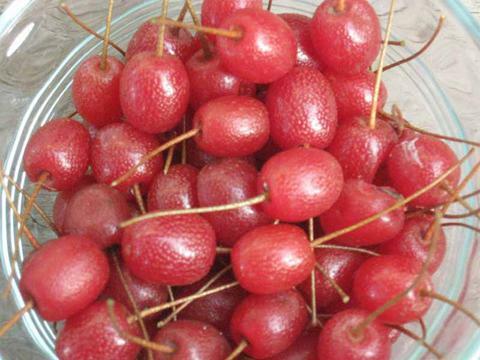 This unusual new fruit looks like a giant cherry or a small plum, depending on your perspective! Bred in Australia arising from a cross between Amber Asian plum and Supreme cherry, it has fruit is sweet, juicy and firm with dark red flesh and skin, with an intense taste reminiscent of both cherry and plum. 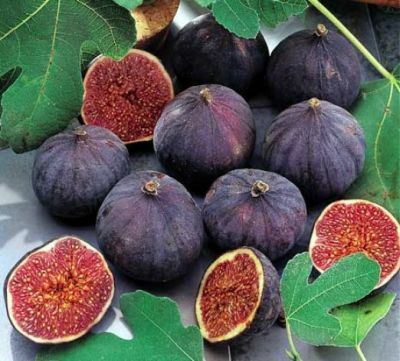 Good for fresh eating, pies and preserves, it is reported to have high levels of antioxidants. Pollinate with other cherry plums or Japanese plum. 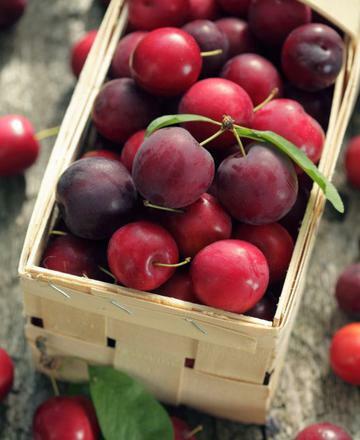 Bears Aug-Sept.
Grobe's offers European, Japanese and Hybrid plums for home gardeners. For best fruit pollination, European types should be crossed with other European, and Japanese with Japanese. Available European varieties for 2019 are Mount Royale, Damson, Stanley, Superior, and Italian. 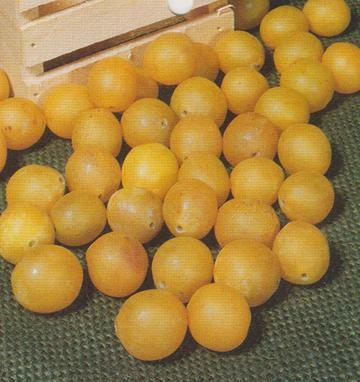 Available Japanese varieties include Burbank and Early Golden. Hybrid plums available include Brookgold, Toka, and La Crescent. Grobe's offers a varied selection of delicious peach trees in both freestone and clingstone. Varieties for 2019 include Coral Star, Redhaven, Redstar, and Reliance. All peach trees are container grown trees that are self-fertile. 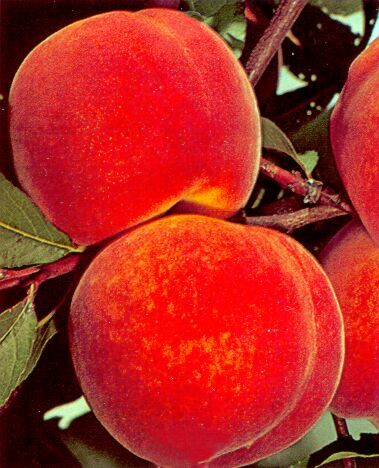 Peaches are not suited for rural or northwind exposed planting locations, and are not warrantied if inappropriately sited. 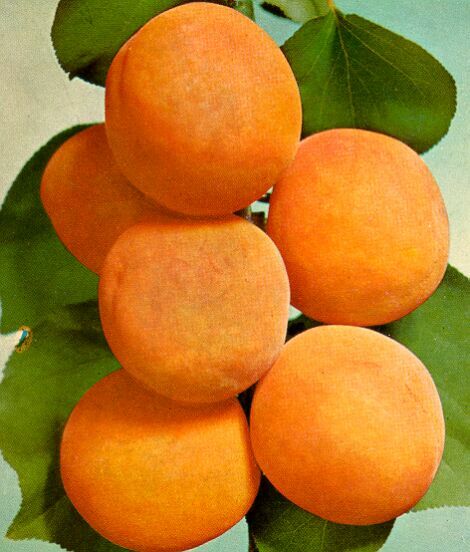 Harcot apricot trees offer medium sized and bright solid orange fruit with a flesh that is firm and flavourful. Apricots are marginally hardy to K-W, and should be sited in a protected location. ** Grobe's will no longer be carrying apricots as a stock item. Special orders may be possible, but all apricots will be exempt from warranty. Hardired is a vigorous, productive tree that bears semi-freestone, attractive, medium to large sized sweet tasting fruit. The fruit softens quickly near maturity, yet it still carries a good level of resistance to bacterial spot, brown rot and powdery mildew. Self-fruitful, they ripen in late August. Sweet luscious summer pears are easy with these hardy pear varieties. 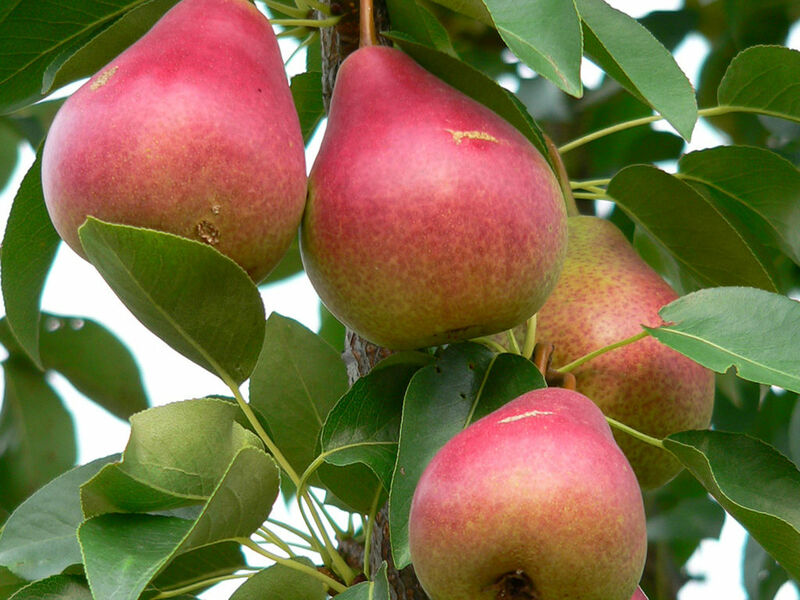 Pear varieties available for 2019 include Anjou, Bosc, Bartlett, Coldsnap, Flemish Beauty and Summercrisp. 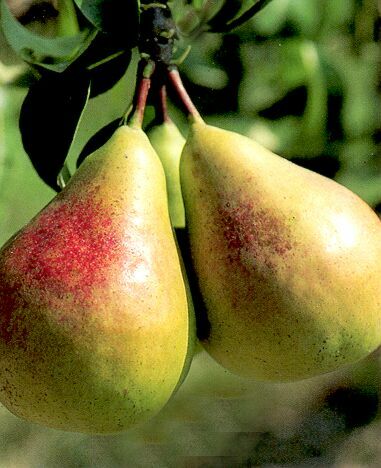 Pears like Bartlett and Flemish Beauty are excellent pollinators for the others. There are also a limited number of Shinko Asian Pears. There is nothing sweeter than being able to harvest your own little snippet of summer flavour with strawberries that bloom and produce fruit all season long. 'Tristan' (shown here), 'Ruby Ann', 'Berries Galore' and 'Seascape' are available in larger pots that can be put into your own favourite pot or plot in the garden. An easy way to get the little ones interested in the garden - but watch out - you might never see any fruit yourself! 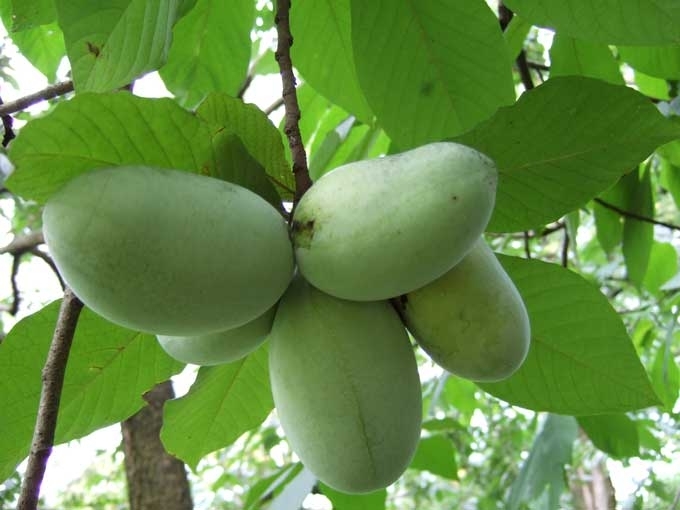 This tropical-looking shrubby and rare Carolinian tree is covered by drooping large green leaves and eventually will bear chubby aromatic green fruit. High in vitamins and minerals, it is a deliciously sweet, rich treat with a ‘custard-like’ texture akin to banana. It seldom grows taller than 25 ft. and while tolerant of some shade, it does best in sun in rich well-drained soil. (Note: Plants are 3 gallon shrubs). In addition to native Paw Paw, cultivar Susquehanna is also available. 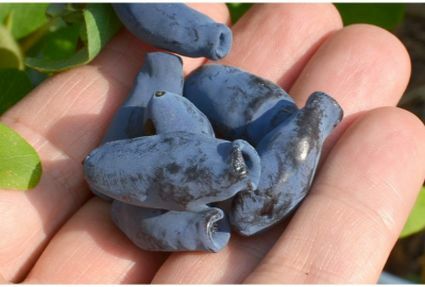 Looking like blueberries, but with 5 times the anti-oxidants, this honeysuckle cousin produces heavy yields of flavourful berries that taste like a blueberry/raspberry combination, and are in huge demand in Japan (where they are known as honeyberries). Plants bear heavy flowers in mid-April, with fruit ripening in late June/early July. A product of many years of breeding at the University of Saskatchewan, Grobe's has a limited supply of Tundra, Aurora, Borealis, Smart Berry (pollinator) and Honeybee (pollinator) available. These are well documented as the very best combination of varieties for use to ensure large yield. 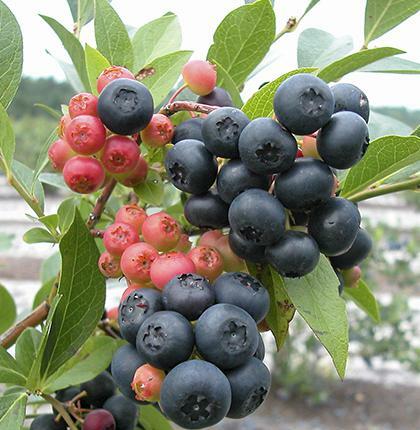 Japanese haskap berries (known as Yezberries) are also available. Yezberry Honey Bunch and Yezberry Sugar Pie bloom and ripen later than the others listed above (making them easier to pollinate) and the fruit are sweeter and larger as well. While originally only planted to attract birds, Chokeberry or Aroniaberry is being introduced into gardens for human consumption as well. 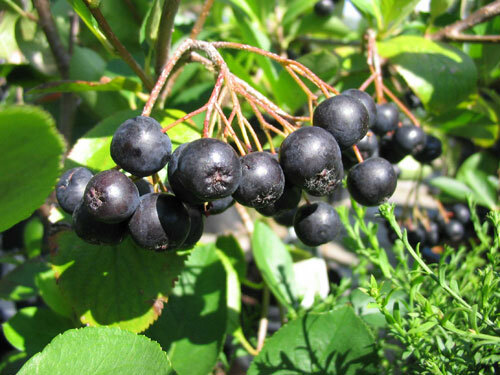 Grobe's will offer both the native Black Chokeberry as well as cultivar 'Viking'. This plant bears a heavy crop of black berries that are high in antioxidants, anthocyanins, fibre, Vitamin C and are excellent for making jams, juices or eating fresh. 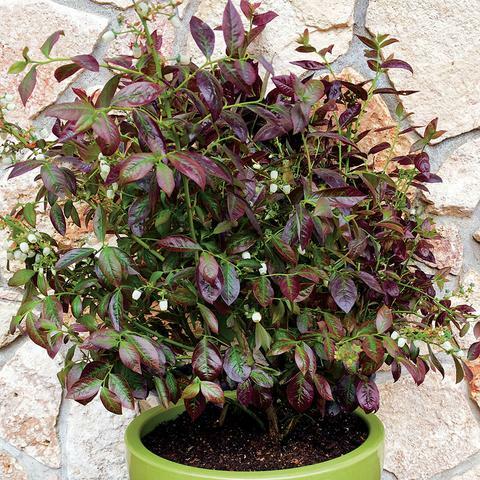 Growing 3-5 ft. tall in sun, it has white spring flowers and red fall foliage that make it landscape worthy as well! 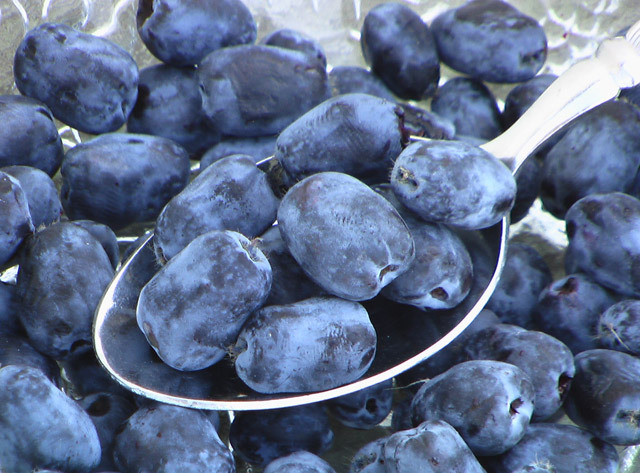 With their reputation as a 'superfood' due to their anti-oxidant laden berries, blueberries continue to grow in popularity. 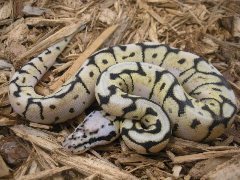 Among the 10 varieties on offer this year are three highly sought varieties that offer the latest in breeding. 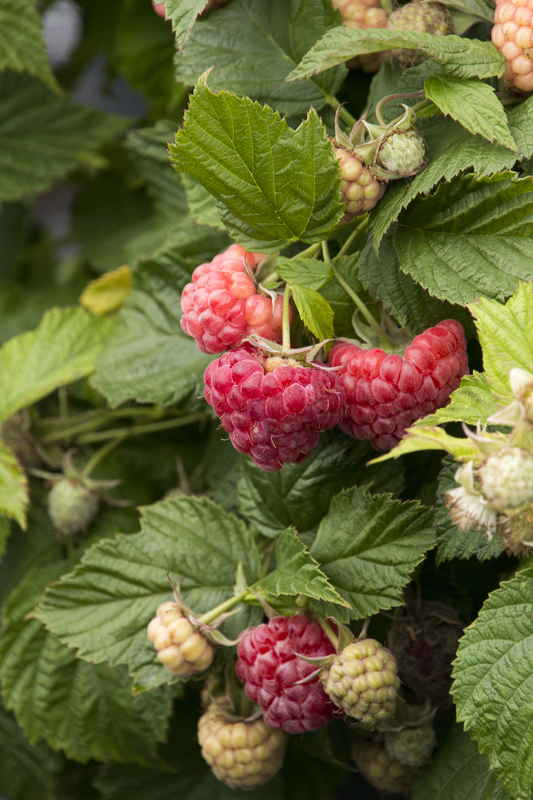 Dark berried 'Nocturne' (shown here) is very hardy and heavy bearing, with unripe fruit in the cluster offering an aesthetically pleasing appearance. 'Razz' has the great flavour similar to its siblings Bluecrop and Blue Ray, tasty Sweetheart has the potential to bear more than one crop of berries in a season and 'Cabernet Splash' has, in addition to delicous berries, ever-changing foliage that emerges a deep, dark purple colour that is a mottled green in season before becoming a fiery red in the fall. 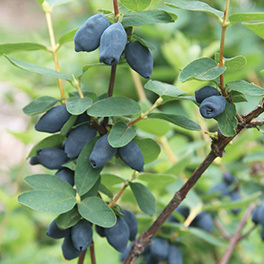 Additionally, we will have a good supply of 3 in 1 Blueberry plants, and the entire collection of Bushel and Berry Blueberries (dwarf) are available by special order as well. Baby Cakes Thornless Blackberry is a dwarf, thornless blackberry perfect for container gardening with its compact habit. 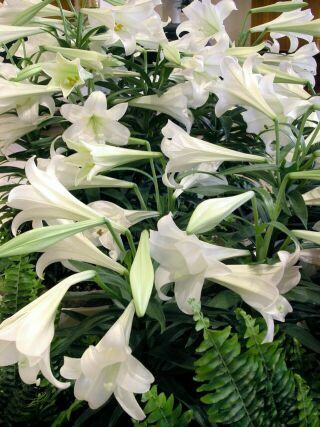 Spring and early summer bring bright white flowers. In summer, large, sweet berries present on top of the plant in a fireworks-like spray of fruit. The plant has a somewhat round shape with upright growth reaching 3-4' in height. 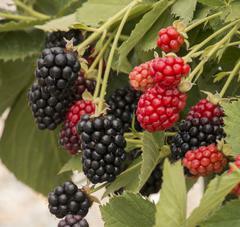 In most regions, this blackberry will produce twice with a mid-summer floricane crop and a mid-fall primocane crop. Tasty and prolific. 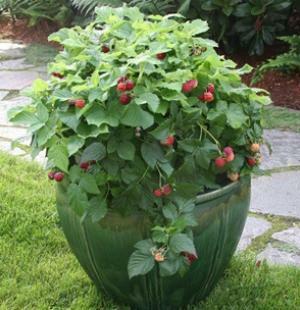 This revolutionary, thorn-free dwarf raspberry has a compact habit and is ideal for large patio pots or small gardens. It requires no staking and bears full-size, sweet fruit in July. Cut dead canes each spring to the ground, leaving older wood with new growth emerging for this year's fruit production. The ample ground sprouts will become fruit bearing canes next year. 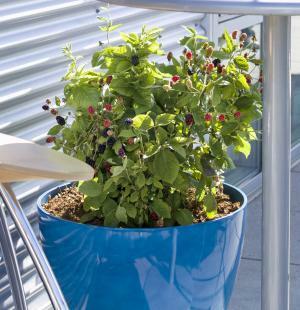 A Grobe staff favourite.. they are the berry bushes we almost hope won't sell out! IS IT POSSIBLE TO ORDER SOMETHING NOT LISTED HERE? It is sometimes possible to order specific fruit and/or edible plant varieties that are not shown on this page. If you have a variety of interest that does not appear here, email us or call and we will do our best to source it for you either during shipping season (spring) or when we place our yearly fruit tree order (usually mid-September to early October) for the following season. DO YOU SELL BARE ROOT TREES? Bare root planted trees generally have higher incidences of loss, and for that reason we no longer offer this type of plant for purchase. Almost all fruiting trees and shrubs available have been container grown for one season to ensure there is a vigorous root system for transplantation. We do not sell 'saplings'. 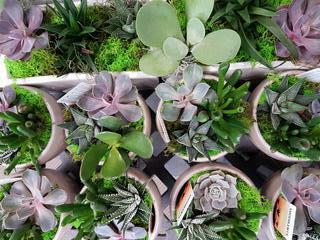 WHEN ARE YOUR PLANTS AVAILABLE TO BE PURCHASED? Our sales yard opens to the public in early April (and this is dictated by the weather) should you wish to pick out your tree or bush. 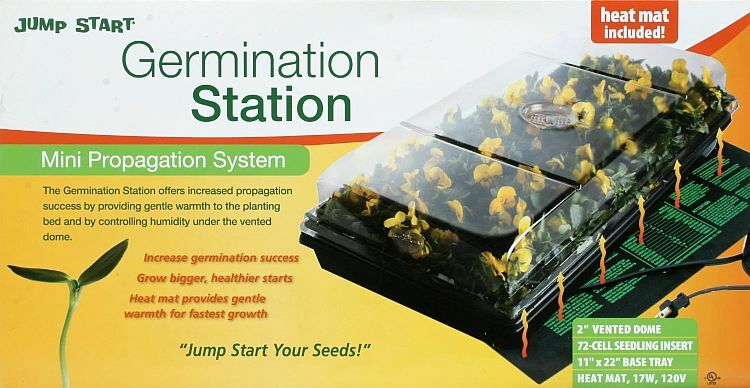 Fruiting plants are generally the first items we make available for sale in our yard. We will take pre-orders for plants in advance of this time by major credit card over the phone or Interac E-transfer by email starting in mid-March. Paid pre-orders are selected out by our veteran plantsman Greg Schierholtz from the best of the crop and set aside ahead of our yard opening, and need to be picked up no later than the end of April. Deletions or changes to pre-sold orders are subject to a 20% Restocking Fee. Contact us for more details. 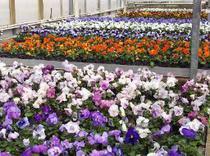 At present we have not found an economical method to ensure that your plants would arrive to you in good condition. 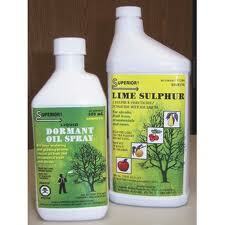 Therefore, we do not ship nursery stock outside of regionally to us in Southern Ontario. Phytosanitary requirements preclude our shipping of product over the US border. WHEN DO YOU 'CLEAR' YOUR STOCK BEFORE WINTER? As you can see from the pictures below, we have the ability to winter store any unsold stock indoors for the winter. Usually this will equate to a tree or plant of greater value the following season, so it is unlikely that there will be such a 'sale' at the end of the season. A tree sold in fall has had the benefit of our care all season long, and we do not charge extra for this value added benefit in the fall. HOW DO I KNOW IF WHAT I WANT WILL BE IN STOCK BEFORE I COME TO VISIT GROBE'S? As with all Grobe plants, if you are coming any distance we will be happy to answer any emailed inquiry on plant supply ahead of setting out. Please use our Contact Us page for these inquries. Please find here a small gallery of what we would consider typical for our fruit selection. It's true that this can vary a little from year to year depending on supply - but this is pretty much what you can expect to find if you choose to visit. How Do I Order? Do You Ship?